Bandoleer Bracelet (dy-003) [Bandoleer Bracelet (dy-003)] - $24.95 : NewDaVincis.com!, Great Innovative Products, Gadgets and more. 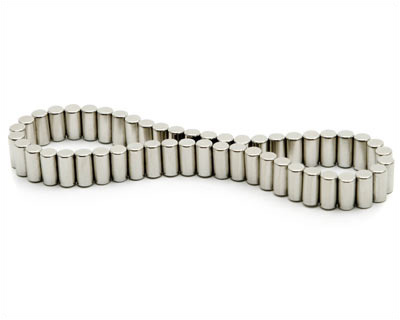 These super strong magnets were styled after the iconic bullet belts in military wear. Bandoleer: A belt fitted with small pockets for carrying cartridges and worn across the chest by soldiers. The Bandoleer Bracelet swerves and forms naturally to any size wrist. Each cylindrical Rare Earth Magnet binds with the adjacent magnet forming a strong yet smooth flexible band. 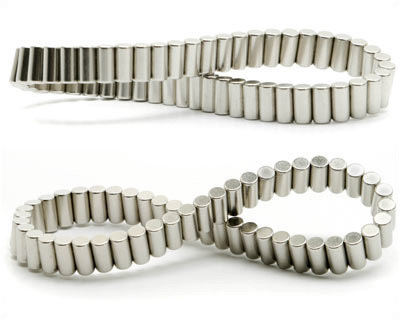 Explore the playful nature of these magnets as they appear to snap together under their own will. The Bandoleer Bracelet will not come off near metal objects because the pieces of the bracelet are more attracted to each other than any other objects. The magnetic force will last a lifetime unless heated over 250 degrees Fahrenheit. 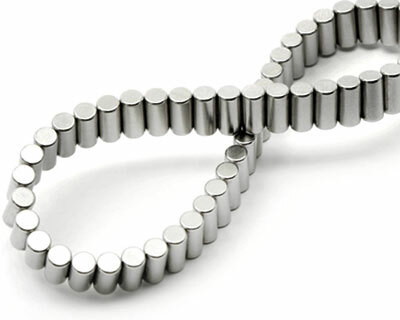 Magnets can attach together inside the body and could cause injury or be fatal. Seek immediate medical attention if you or a child swallows one or more magnets. Q: Are the magnets really strong enough to stay on? A: The incredible strength of these permanent magnets must be seen to be believed. Their force is so strong that under normal use the jewelry will stay on during normal daily activity. However, common sense rules apply; do not wear your jewelry under extreme conditions such as athletic activities. 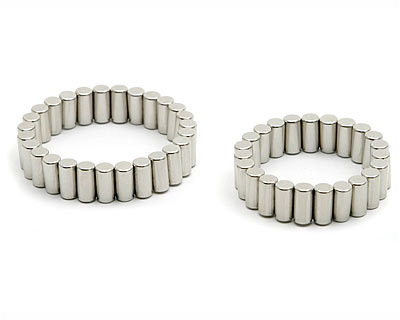 CAUTION: These magnets are very strong and as a precaution, should be avoided by people wearing pacemakers.